Hitachi Construction Machinery Co., Ltd. (TSE: 6305; “Hitachi Construction Machinery”) today announced an agreement with Australia’s largest independent coal miner, Whitehaven Coal (ASX: WHC; “Whitehaven”) to collaborate on the design and implementation of an Autonomous Haulage System (“AHS”) to support the company’s mining operations in North West New South Wales (“NSW”). Whitehaven has previously announced plans to operate an autonomous fleet at its Maules Creek coal mine. 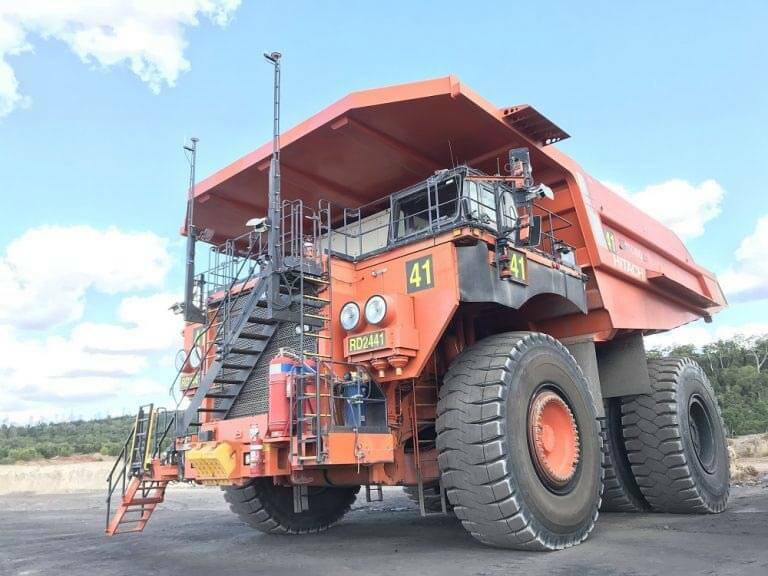 Autonomous haulage systems have been shown to significantly reduce human exposure to safety hazards and critical risk scenarios as well as contribute to better mine efficiency overall. The agreement announced today is a major step forward in the penetration of AHS technologies in the Australian market and puts Whitehaven and Hitachi Construction Machinery at the forefront of innovations in this area in the NSW coal mining sector. The collaboration between the two companies will entail scoping the delivery and commissioning of phased AHS deployment for the fleet of Hitachi EH5000AC3 trucks at Maules Creek and the establishment of the physical and technological infrastructure to support AHS capability. The Hitachi Construction Machinery Group will deliver Hitachi AHS as one of the core components of the company’s “Solution Linkage” initiative, partnering with our mining customers across the world. In mining operations, the Fleet Management System (“FMS”) plays a key role in the optimization of mining operations at sites, enhancing safety, productivity and reducing life cycle cost management. Various proven technologies from Hitachi Group companies contribute significantly to the complete AHS Solution, as One Hitachi initiatives. Hitachi AHS is designed with the base concepts of “Scalability”, “Flexibility” and “Agility”. Hitachi Construction Machinery’s Smart Mining Truck with the Advanced Vehicle Stabilization Controls utilizing Hitachi robotics, AC motor and drive control unit technologies. Blockage management system from railway business. Sensing technology and Navigation system cultivated in the automobile industry by Hitachi Group. About Hitachi Construction Machinery Co., Ltd.
Hitachi, Construction Machinery Co., Ltd., (TSE: 6305), headquartered in Tokyo, Japan, is a global Construction Machinery company with approximately 20,000 employees worldwide. Fiscal 2017 (ended March 31, 2018) consolidated revenues totaled 959 billion yen. Hitachi Construction Machinery will focus more than ever on the Construction and Mining Machinery Business, which includes Hydraulic Excavators, Wheel Loaders, Rigid Dump Trucks, Compaction Equipment, Applications and Mine Management Systems. For more information on Hitachi Construction Machinery, please visit the company’s website at https://www.hitachicm.com/global/. Information on Whitehaven Coal Mining Limited, please visit the company’s website at http://www.whitehavennews.com.au/.